Vitra Miniature Sitzmaschine, Hoffmann: Around 1900, the Viennese architects discovered a new means of expression in the bentwood technique. 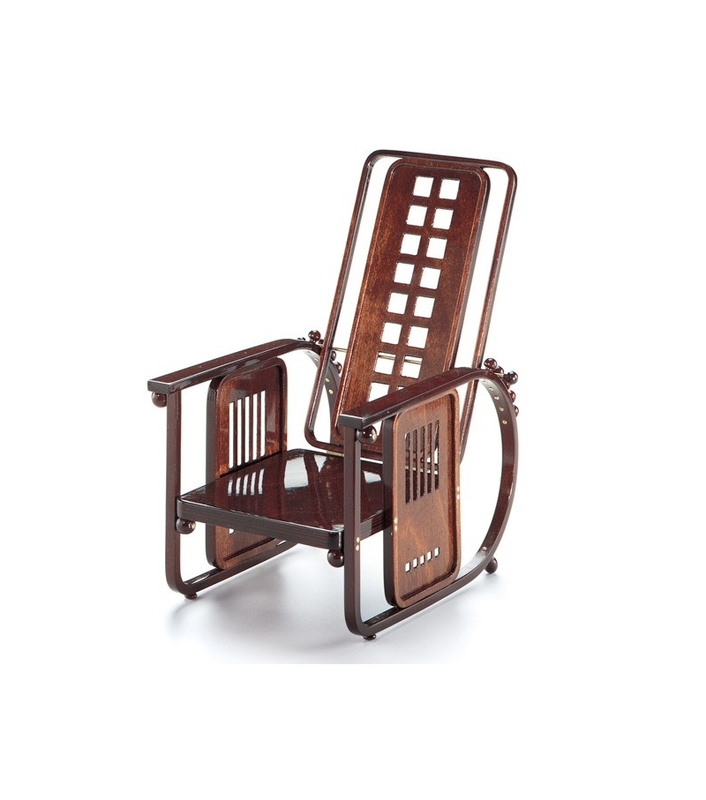 Josef Hoffmann's Armchair No 670 combines the austere elegance of bentwood with the expressive formal vocabulary of the Viennese Secession. Vitra Miniature Sitzmaschine, Hoffmann: Around 1900, the Viennese architects discovered a new means of expression in the bentwood technique. To them, the simple forms of classic bentwood furniture - a consequence of industrial production - anticipated the new aesthetic clarity they were promoting. 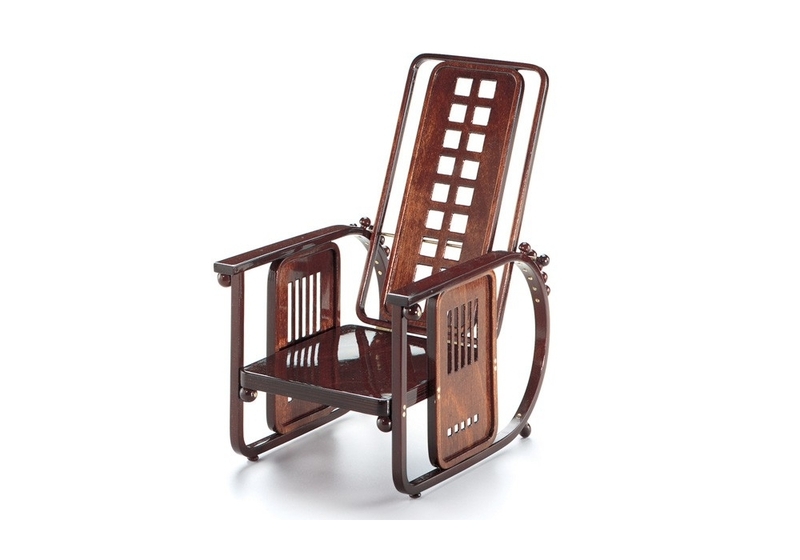 Josef Hoffmann's Armchair No 670 combines the austere elegance of bentwood with the expressive formal vocabulary of the Viennese Secession. Its somewhat voluminous form, strict geometry, and adjustable back are attributes that suggest associations with the machine. Beechwood, mahagony stain, shellac varnish. Made in Poland.